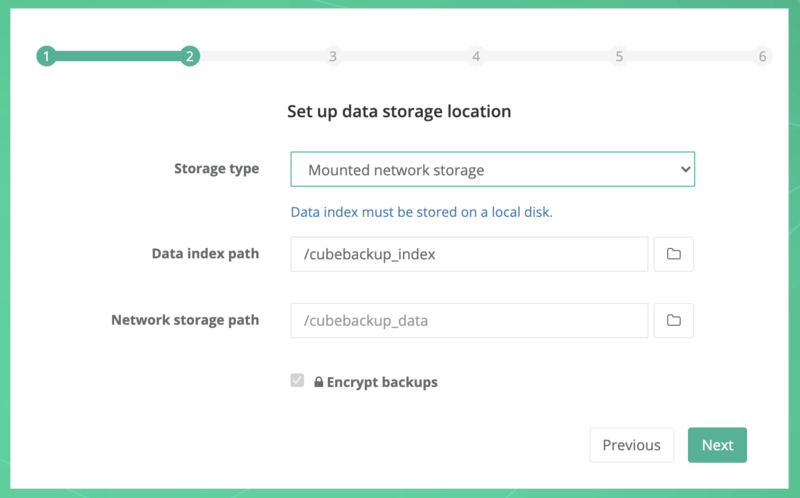 This article will guide you through the initial configuration of CubeBackup in a docker container. 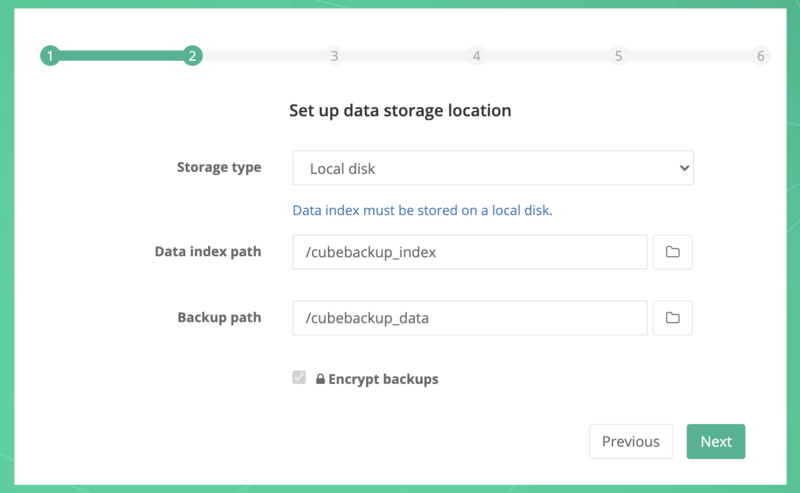 If you are using CubeBackup on Windows or Linux directly, please refer to Initial Configuration on Windows or Initial Configuration on Linux. After the docker container has been successfully launched, point your browser to http://<host_IP>:<port number> for the initial configuration. 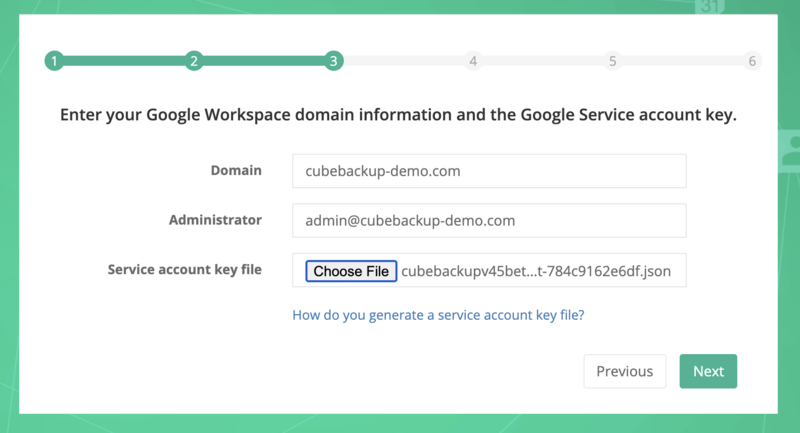 CubeBackup allows you to backup G Suite data to a local disk, network storage or your private Amazon S3 storage. NOTE: Be sure to set the backup and data index locations in the web console to the docker container paths - not the host paths! Data index path: Select the path you created for the data index on the docker, e.g. /cube_index. 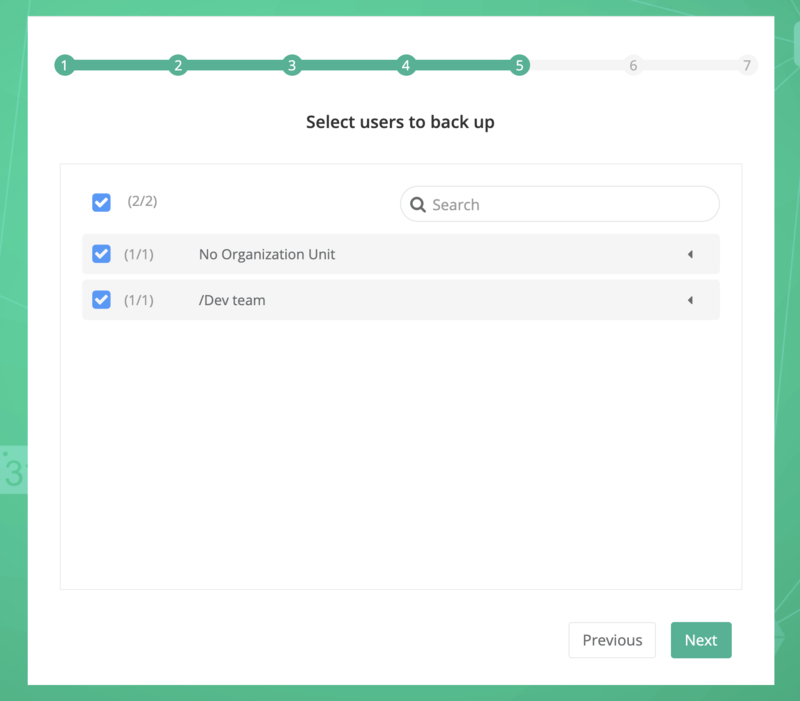 Backup path: Select the path you created for the backup data on the docker, e.g. /gsuite_backup. 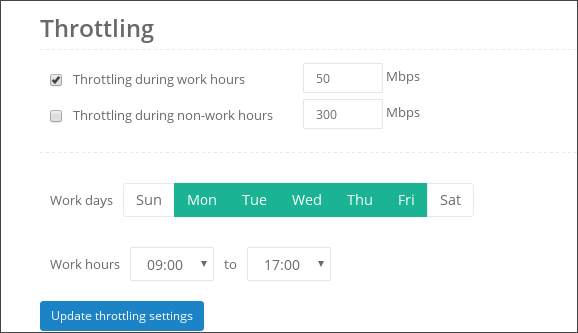 Network storage path: Select the path you created for the backup data on the docker, e.g. /gsuite_backup. 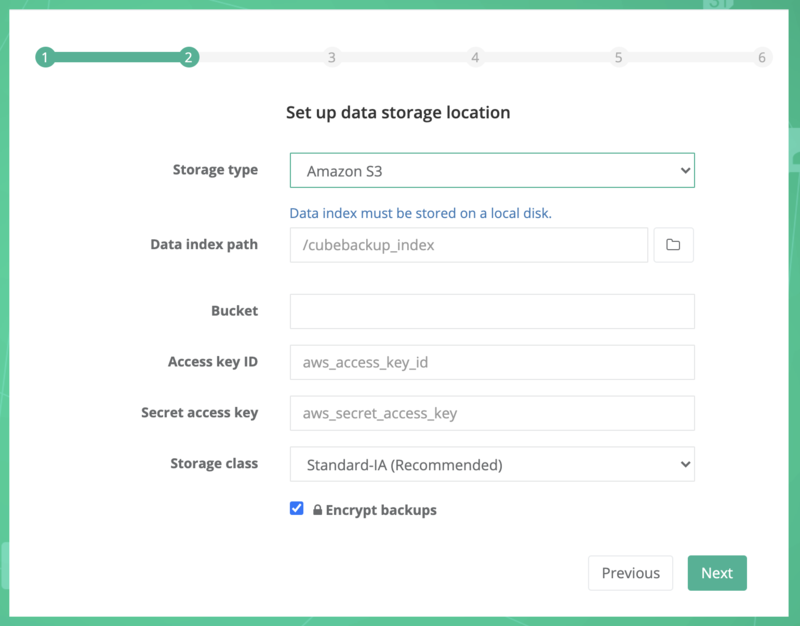 In the CubeBackup wizard, you can now enter the name of your Amazon S3 bucket and copy the Access key ID and Secret access key values in the corresponding textboxes. 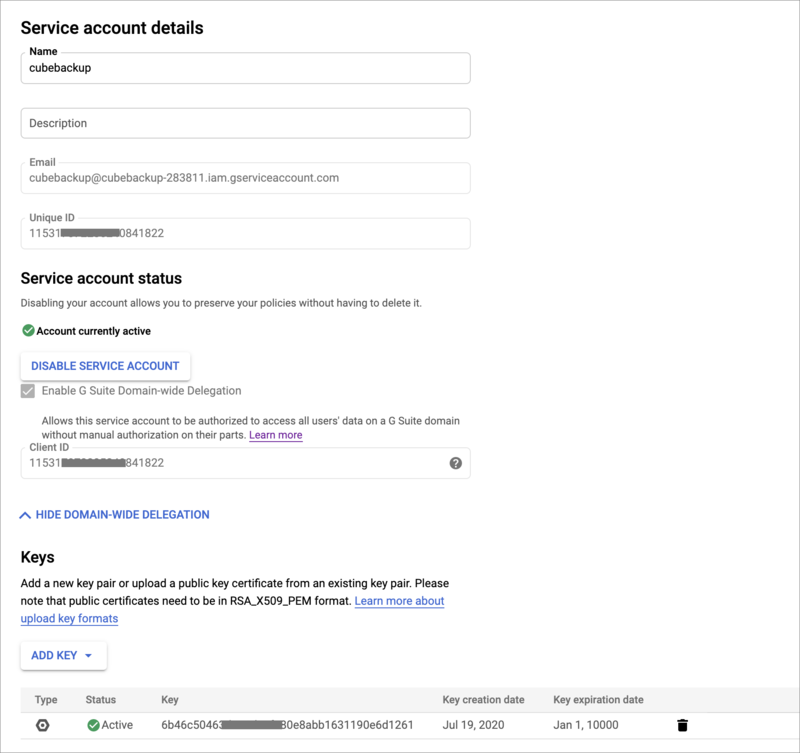 In this step, you are required to input the G Suite domain name, the domain administrator account, and the Service account key file. 1. Log in to Google Cloud Console. 2. 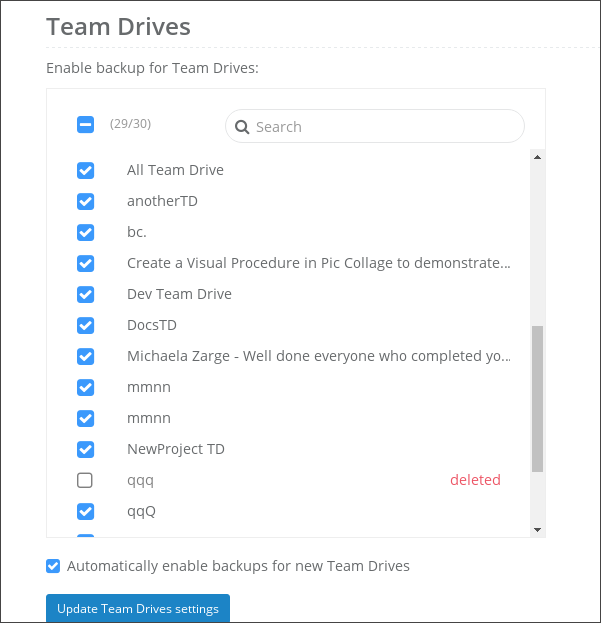 Create a new project named “CubeBackup”. 4. 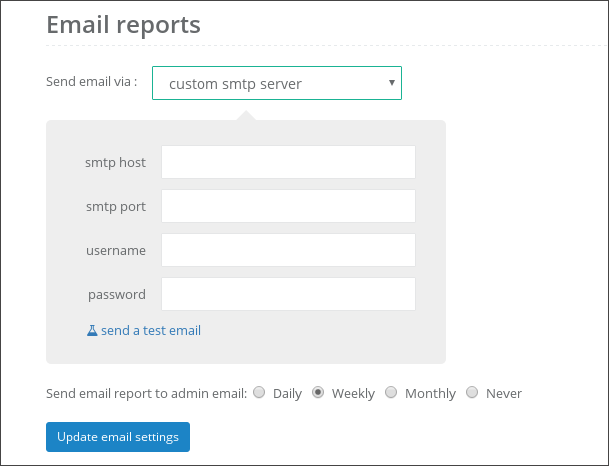 Create a Service account. 5. Return to the CubeBackup setup page.